Why is the Escalade ESV such a great choice? 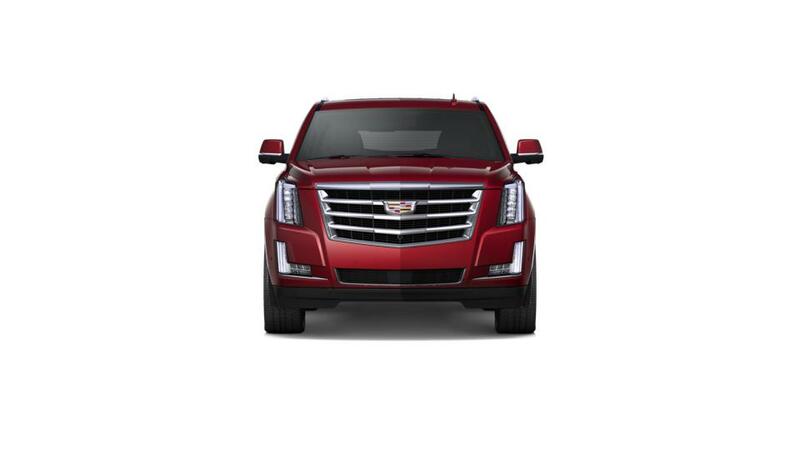 The Escalade ESV is one of our best-selling models. It's a full-size extended SUV with a reputation for luxury and a great driving experience. With room for up to eight and a larger wheel base than the regular Escalade, the ESV offers more room for both passengers and gear. It has plenty of power, with a 420-hp 6.2L V8 engine and a max towing capacity of 8,300 lbs. Top-rated safety features like electronic stability control, Side Blind Zone Alert, and adaptive cruise control will help keep you and your family safe on the road. Explore our inventory of Cadillac Escalade ESVs in Mission to find the color and options you're looking for.